Sustainable practices within the mining and energy sectors are assuming greater significance due to uncertainty and change within the global economy and safety, security, and health concerns. 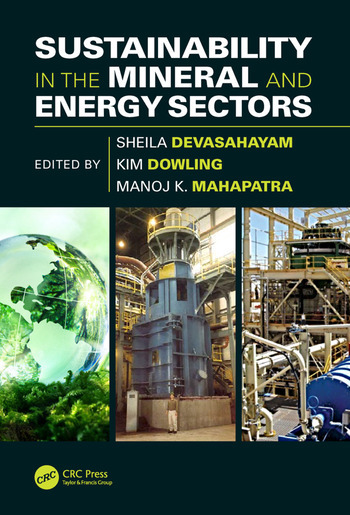 This book examines sustainability issues facing the mining and energy sectors by addressing six major themes: Mining and Mineral Processing; Metallurgy and Recycling; Environment; Energy; Socioeconomic and Regulatory; and Sustainable Materials and Fleets. Emphasizing an integrated transdisciplinary approach, it deliberates on optimizing mining productivity and energy efficiency and discusses integrated waste management practices. It discusses risk management, cost cutting, and integration of sustainable practices for long-term business value. It gives a comprehensive outlook for sustainable mineral futures from academic and industry perspectives covering mine to mill optimization, waste, risk and water management, improved efficiencies in mining tools and equipment, and performance indicators for sustainable developments. 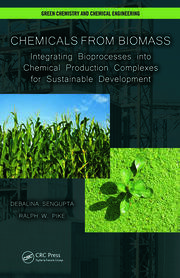 It covers how innovation and research underpin management of natural resources including sustainable carbon management. •Focuses on mining and mineral processing, metallurgy and recycling, the environment, energy, socioeconomic and regulatory issues, and sustainable materials and fleets. •Describes metallurgy and recycling and uses economic, environmental and social parameter analyses to identify areas for improvement in iron, steel, aluminium, lead, zinc, copper, and gold production. •Covers alternative and conventional energy sources for the mineral sector as well water treatment and remediation and energy sustainability in mining. 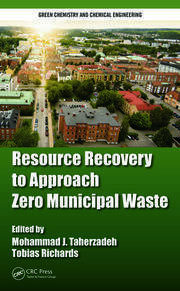 •Provides an overview of sustainable carbon management. •Offers an interdisciplinary approach with international focus. Chapter 9 Selective Leaching: An Ecological Solution for Recovering Metals from Complex Minerals and Materials? Dr. Sheila Devasahayam is a faculty member of the Federation University Australia. She has a strong research background in both metallurgy and materials science. Sheila earned a PhD in materials science from the University of Queensland, Australia, with post-doctoral experiences from the University of Wollongong, University of Sydney, and University of New South Wales. Sheila has expertise in many aspects of industry-based materials science ranging from coatings, surface modifications, plasma and radiation chemistry, nanocomposites, super absorbents, super hydrophobic materials, and energy materials. Sheila previously earned a PhD in extractive metallurgy from the National Metallurgical Laboratory, CSIR-Madras University, India. She is involved in many industrial projects in the mineral sector including acid mine drainage, hydrometallurgy, pyrometallurgy, mineral processing, and coal processing with a focus on green chemistry and engineering. Sheila gained expertise in soil and water science and aquifer characterisation while working at the Centre for Water Resources, Anna University, India. She served in the Commonwealth Government, Australia as a scientific policy officer in the Department of Innovation. Sheila’s inter-disciplinary, industry-focussed expertise has enabled her to provide innovative sustainable solutions to many immediate industrial problems and motivated her to edit this important book of transdisciplinary nature transcending individual disciplines. Kim Dowling is a senior academic in the Faculty of Science and Technology at Federation University Australia and also holds an adjunct position at the University of Tasmania, Australia. She has been an active researcher for over 30 years, and her current interest is in the identification, characterization, and remediation of contaminated sites, with an emphasis on historical mining environments. She earned her PhD from James Cook University by developing a new and innovative method for assessment of gold deposits and also holds a Graduate Diploma in Environmental Management from Deakin University. She has extensive experience working in both the mining industry and the tertiary education sector, and actively contributes to both local and international discussions on environmental health and the emerging multidisciplinary field of medical geology. Manoj Kumar Mahapatra, PhD, is a faculty member in the Department of Materials Science and Engineering at the University of Alabama at Birmingham (UAB), USA. His research focuses on ceramic and glass materials for energy applications. He has authored and coauthored over 35 peer-reviewed publications and holds 2 US patents. Dr. Mahapatra earned his PhD in Materials Science and Engineering from the Virginia Polytechnic Institute and State University. He worked at the Center for Clean Energy Engineering at the University of Connecticut prior to joining UAB. "The book is an extremely important reference for the problem of brownfield sites and their remediation, arguably a definitive work." "This book deliberates integrated innovative research to address the challenges of mining, mineral processing and metallurgical industries. It is a source of contemporary knowledge and unique expertise covering various subjects like recycling of precious and rare earth metals from electronic waste, mining environment, wastewater treatment, alternative energy resources, socioeconomic and risk management. The contributors are eminent representatives of industry, academia and government bodies from different parts of the world. This book is a boon for mineral and metallurgical experts looking for innovative ideas and solutions for sustainable growth. 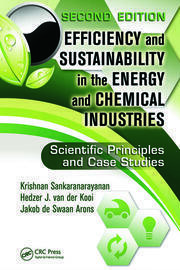 The concepts like waste to wealth, carbon foot print, zero waste and green chemistry were emphasized throughout the book. It clearly reflects the interdisciplinary approach which is appropriate to deal with the challenges faced by the minerals and energy sector. This book also provides an overview on new paradigms for sustainable mineral processing, prospects of nuclear and solar energy, integrated waste management practices for sustainability. It is indeed a pride of all concern technocrats, scientists and academicians dealing with mineral and energy sector to have copy of this book in their shelf. I strongly recommend this book on Sustainability in the Mineral and Energy Sectors for all Mineral and Metallurgical engineers, technocrats and policy makers."